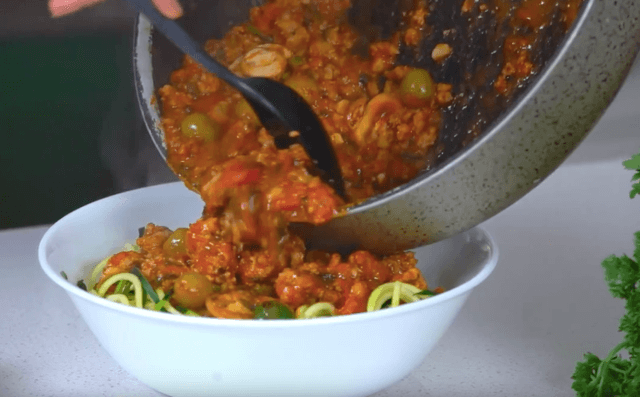 ZUCCHINI NOODLE RECIPE: HOW TO MAKE DELICIOUS, LOW CARB SPAGHETTI! So who wants guilt free, delicious, healthy spaghetti? If you are looking for a good alternative to that pasta, you gotta try zucchini noodles! This is an Hourglass and TWL classic! … I honestly think I’ve made zucchini noodles trendy! Below you will find an instructional video on how to make zucchini noodles! Try it and let me know how you like it! 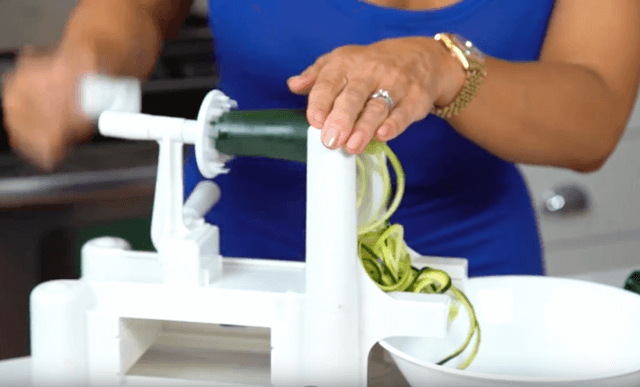 You can purchase a spiralizer at most kitchen stores and some department stores. Mine was around $20. To me, it’s tastes almost the same as the regular delicious high calorie, gluten filled spaghetti that I grew up on. Cut the ends from each of the zucchini. Heat coconut oil or organic butter, add the zucchini spaghetti, salt, pepper and (dill weed optional). Leave zucchini raw, add pinch salt & pepper to taste (add low sugar tomato organic tomato sauce and healthy ground turkey or meatballs! 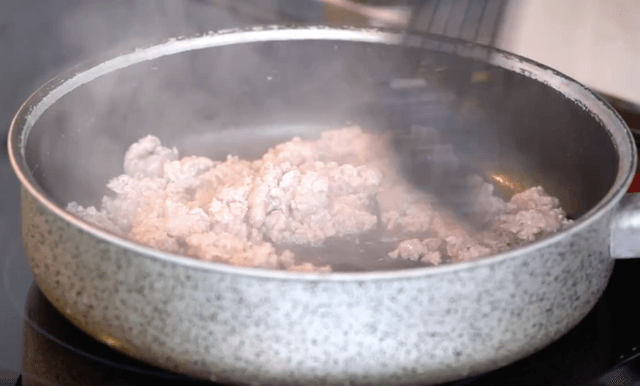 Meat sauce: Add turkey and begin to break the meat into very small pieces, Add braggs and srircha hot sauce. Once the meat is cooked, add tomato sauce, mushrooms, jalapeño olives and stir! Looking for more diet friendly, healthy and delicious recipes? Then go on and subscribe to by Youtube channel! I post a healthy recipe every week! Protein Ice Cream Recipe: How To Make Your Own!